If your life calls for the most premium of streetwear and luxury brands, then Riccardi is your ultimate shopping destination. Located on Newbury Street, the shop is your best bet to find labels such as Givenchy, Balmain, Comme des Garçons, En Noir, Thom Browne, Marcelo Burlon, Lanvin, Neighborhood Japan, and more, not just in Boston, but in all of New England. 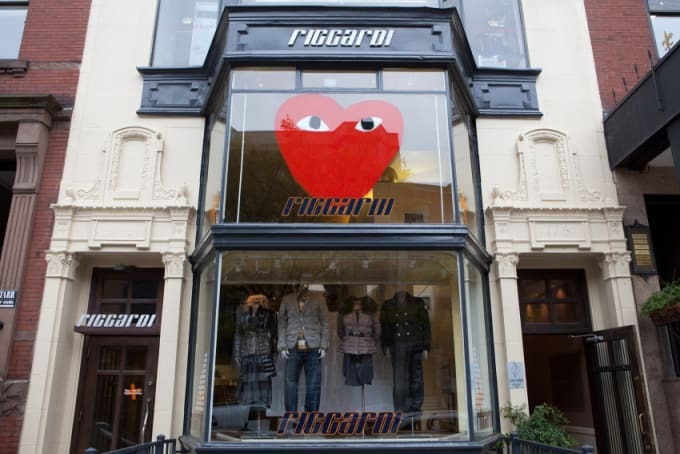 Also, Riccardi is known for its stacks and stacks of high-end denim, so if you're not afraid of a little sticker shock, this is your place to shop.